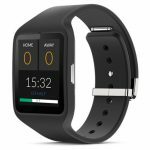 The Refsix is a smartwatch designed specifically for football referees. In addition, to helping you keep track of the score, it also monitors personal health and activity stats. After a game, you can see just how far you�ve run. You can also track stats for players, and there�s an identifier to let you know how many times you�ve encountered different players on the field.